‘Tis the season for gathering with friends and family to enjoy festivities and food! It takes a little planning, but it is definitely still possible to eat food that nourishes your body during the holidays. 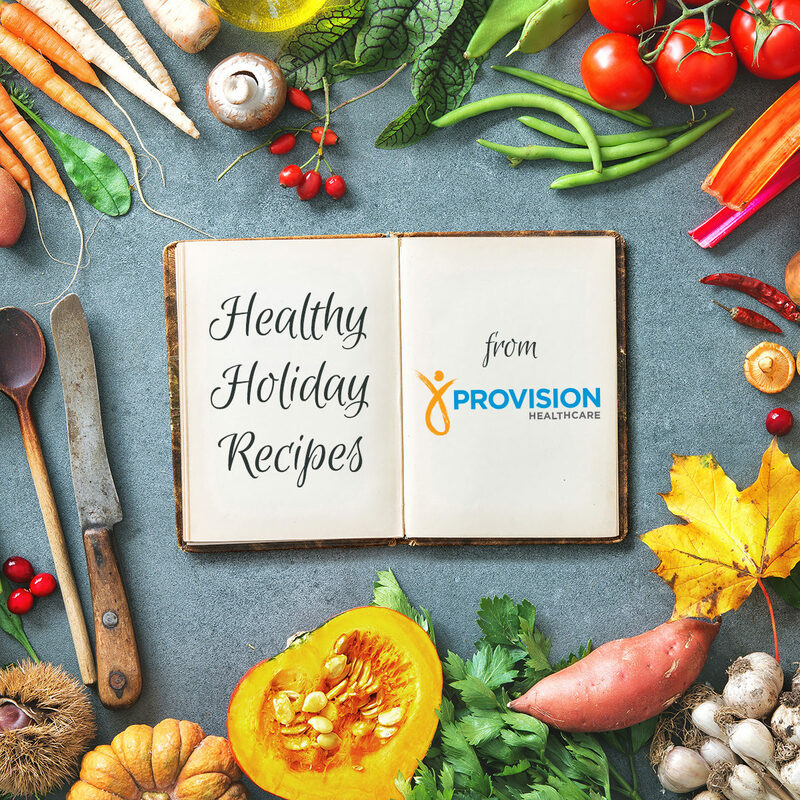 Here are some healthy recipes of holiday favorites to try this year! •Grease 2‐quart casserole dish and set aside. •Bring water and ½ tsp salt to a boil in medium saucepan. •Stir in wild rice. Cover and reduce heat to low. •Cook 45 minutes or until tender. Drain well. •Heat olive oil in large skillet over medium heat until hot. •Add mushrooms, onion, and celery. •Cook and stir 7 to 10 minutes or until tender. •Stir in wild rice, cranberries, nuts, if desired, remaining ½ tsp salt, pepper, and sage. •Spoon mixture into a prepared casserole dish. •Parboil sweet potatoes (about 10 minutes). Remove the potatoes from heat and slice into 1 inch circles. In a mixing bowl combine coconut milk, ginger, maple syrup and salt. Place sweet potato sections into a baking dish. Pour coconut milk combination over the sweet potatoes. •Sprinkle with coconut, drizzle with olive oil and bake uncovered until warm and the coconut golden roughly 30–40 minutes. Remove and sprinkle with the walnuts. *Feel free to decrease the oats volume and add nuts or other stir-ins to personalize. •Line baking sheet with parchment paper or wax paper and set aside. •In medium microwave safe bowl (large enough to add oats), add peanut butter and maple syrup. Whisk together until well mixed. •Heat 20 seconds in microwave. Take out and whisk. Repeat until fragrant and warm (about 4- 7 times). •Add rolled oats and stir. •Using 2 Tablespoon cookie scoop, scoop and drop on to parchment paper. Use fork or back of spoon to flatten to desired thickness. •Place in refrigerator or freezer for 20 minutes or until firm and completely cooled.